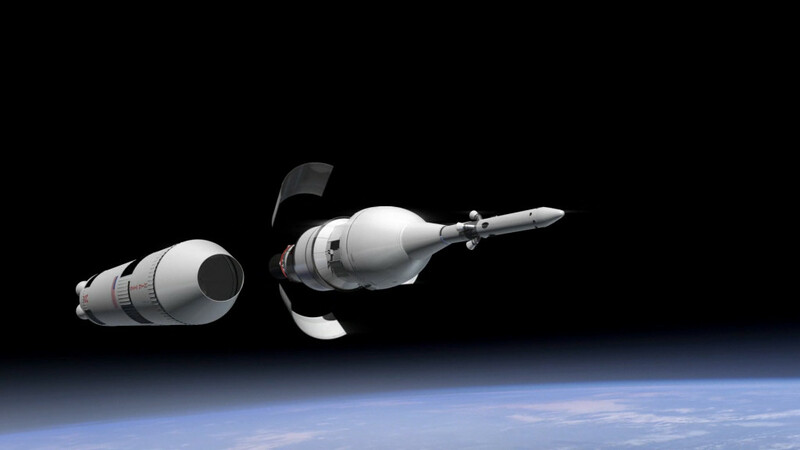 June 19, 2014 – Orion’s first flight test, called Exploration Flight Test-1, is scheduled to launch on December 4, 2014. This test will evaluate launch and high speed re-entry systems such as avionics, attitude control, parachutes and the heat shield. 1. Launch Abort System Separation – The launch abort system (LAS) is a key reason that Orion is intended to become the safest spacecraft ever built. In an emergency it could activate to pull the crew module and the astronauts it will carry away from the launch pad and the rocket in milliseconds. Hopefully it’s never needed, and since no crew will fly on EFT-1 the rescue system won’t be active. But even when a launch goes perfectly, the 904-pound LAS jettison motor has to perform flawlessly. 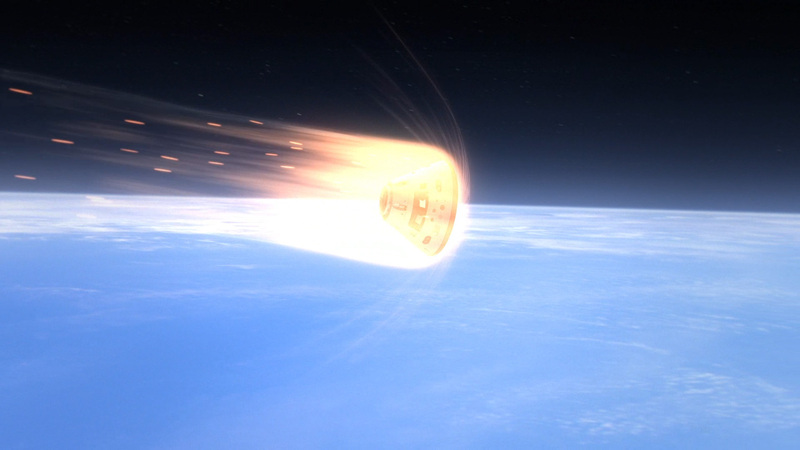 If it doesn’t get rid of the LAS 6 minutes and 20 seconds into the mission, there will be no landing – the LAS protects the crew module during ascent, but to do so, it blocks the parachutes that allow Orion to safely splashdown. 2. Parachute Deployment – For EFT-1, Orion will travel 3,600 miles above the Earth so that when it performs its deorbit burn, it will come screaming back into the Earth’s atmosphere at almost 20,000 miles per hour. Before it splashes down in the Pacific Ocean, it needs to slow down to 1/1000th of its entry speed – a relatively gentle 20 miles per hour. Standing between the crew module and all that heat is no more than 1.6 inches of Avcoat, a material that’s designed to burn away rather than transfer the temperatures back to Orion. Some 20 percent of the Avcoat will erode during the spacecraft’s journey back to Earth, and although it’s not the first time the materials has been used for this purpose, at 16.5 feet wide, Orion’s heat shield is the largest ever built. Technicians filled with Avcoat each of the 320,000 honeycomb cells that make up the shield’s structure by hand, then machined them to the precise fractions of inches called for by the design. 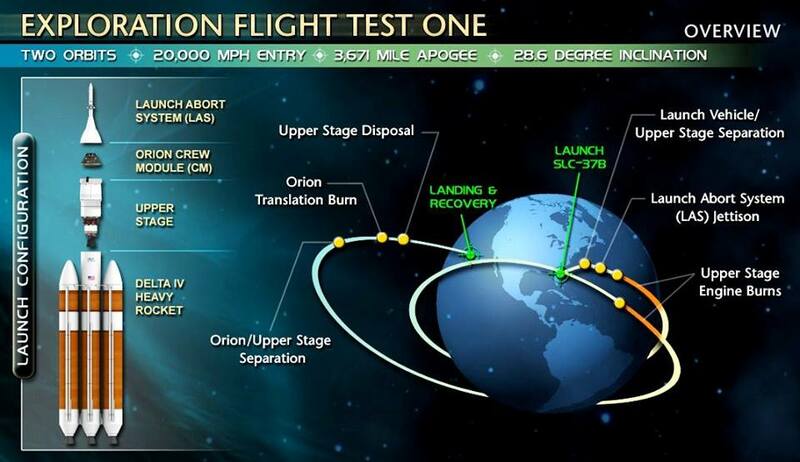 Getting it exactly right is all that will get Orion through one of the most dynamic periods of its mission. To operate in space, Orion’s computer has to be able to handle extreme heat and cold, heavy radiation and the intense vibrations of launches, aborts and landings, and it has to operate through all of that without a single mistake. Just restarting the computer takes 15 seconds, which is a lot of time when you’re strapped to a rocket.